Nestled in the rugged foothills of the McDowell Mountains, Ancala Country Club is graced by the natural beauty of the Sonoran Desert and has become one of Scottsdale's most prestigious private country clubs. The Dye-Design, 18-hole championship golf course challenges players of all skill levels with five sets of tees and a variety of play. Dramatic views, lush fairways and pristine emerald greens offer an unforgettable golf experience. Ancala Country Club is an ideal venue for golf tournaments as well as for hosting your next special event. Whether you are planning a charity fundraiser, corporate outing, wedding, or birthday party, our dedicated team of professionals will assist you in making your day at Ancala Country Club unforgettable. Please call 480-391-2777 for current rates. *Turn Left at N. Frank Lloyd Wright Blvd. 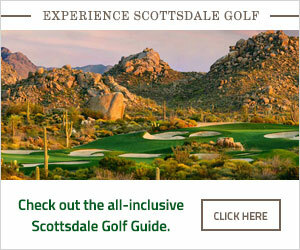 Call 480-391-2777 for rates and tee times. Contact Ancala Country Club at 480-391-2777 for more information and details on holding a golf outing at the course. Contact Ancala Country Club at 480-391-2777. Contact Ancala Country Club at 480-391-2777 for onsite or nearby dining options. This profile was last updated on 07/05/2018 and has been viewed 8,057 times.